The Hand football team will move back into Tier 1 in the SCC next season after spending the last two season in Tier 2. The Southern Connecticut Conference’s three-tier system will return for a fourth football season but with a few changes. First the teams have been ranked in order from 1 through 21 using what commissioner Al Carbone calls “objective data” victories against teams in each tier based over a four-year period (2015-18 seasons). Hand, which has won back-to-back Class L state championship in the two seasons it resided in Tier 2, is back in Tier 1 while Cheshire becomes the top team in Tier 2. Sheehan is now the third ranked team in Tier 2 while Foran has moved to Tier 3. Carbone said everyone agreed to using the data formula and agreed that this would be a one-year schedule. Each team in either Tier 1 or 3, except Bassick, receives six league games, while the teams in Tier 2 received 7. Teams will play four games in its tier. Teams in Tier 1 and 3 will play one crossover game in Tier 2 each. So because teams in Tier 2 are playing a pair of crossover games, those squads can only play three non-conference games. Bassick received five games because it does not have a Thanksgiving Day opponent. Law athletic director VJ Sarullo came up with this new formula to rank the teams on a points system dependent on what teams you beat, in and out of the conference. 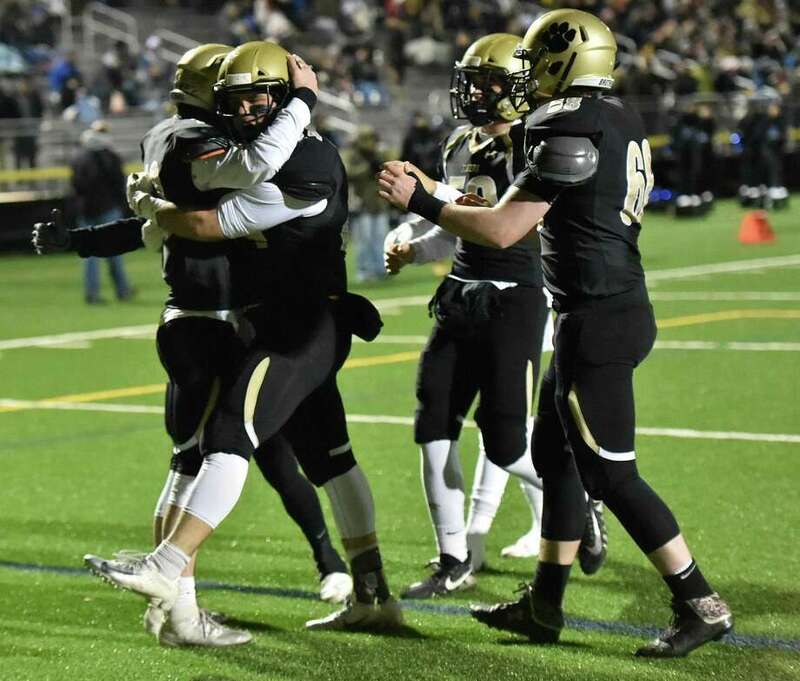 Sarullo credited Notre Dame-West Haven athletic director Jason Shea and Amity athletic director Ernie Goodwin for coming up with ideas to rank the teams objectively. Hamden football coach Tom Dyer was not a fan of the tier system the last couple of seasons, but now believes that the the data is “the most objective-based data for football scheduling in the history of our league (25 years).” The Green Dragons remained in Tier 2, but is now the bottom team in the tier. The Alliance with the South-West Conference, the Eastern Connecticut Conference, the Central Connecticut Conference and the Fairfield County Interscholastic Athletic Conference will give the SCC teams anywhere from three to five games. Carbone said those non-conference matchups are expected to be announced some time in January. Tier 1: Shelton, West Haven, North Haven, Fairfield Prep, Hand, Notre Dame-WH, Xavier. Tier 2: Cheshire, Sheehan, Hillhouse, Harding, Wilbur Cross, Amity Regional, Hamden. The 2019 season is scheduled to begin Sept. 13.